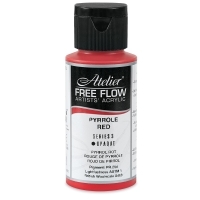 Looking for a paint that can keep pace with your creativity? 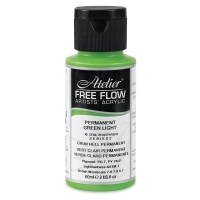 Try Chroma Atelier Free Flow Artists' Acrylic, a vivid, lightfast, artist-quality acrylic with a wonderful, free-flowing consistency and remarkable versatility. 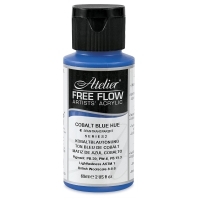 An exciting substitute for ink, watercolor, or gouache, it's perfect for washes and glazes, mixed media pieces, art journaling, gestural painting, quick studies, and much more. 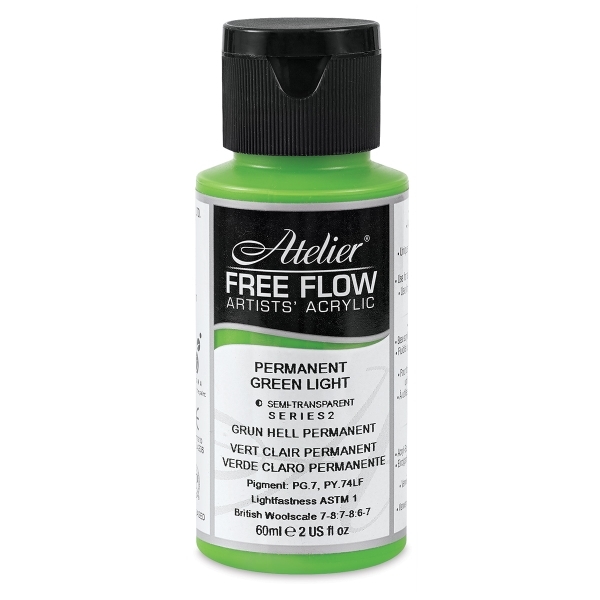 Chroma used the latest advances in pigment and polymer technology to develop these paints. They can be used straight from the bottle or diluted with water for greater transparency. They dry to a rich matte finish with a velvet sheen that seems to glow from the inside. Because they dry so quickly, overpainting can proceed very rapidly and layers don't get muddy.